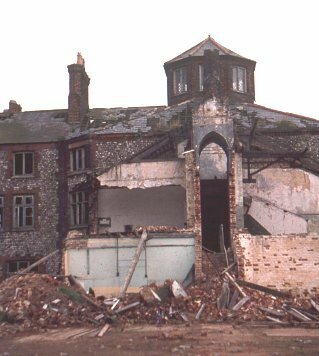 North Walsham had a parish workhouse which, by the 1770s, could hold 80 inmates. In 1786, a new workhouse was built, perhaps in the vicinity of what is now Workhouse Loke. In 1805, the parishes of Gimingham, Knapton, Mundesley, Overstrand, North Repps, South Repps, Sidestrand, Trimingham, and Trunch formed a Gilbert union and erected a House of Industry at Gimingham. The property was later divided into cottages known as Brunswick Terrace (now demolished). Also in 1805, Sheringham [or Sherringham] formed a union with Aldborough, Aylmerton, East Beckham, Beeston Regis, Cromer, Felbrigg, Gresham, and Runton and set up a workhouse near to the church at Upper Sheringham. The large U-shaped building could house 150 but seldom had more than 50 inmates. 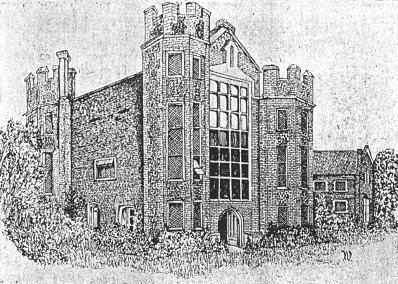 It was later adapted for use as a school. 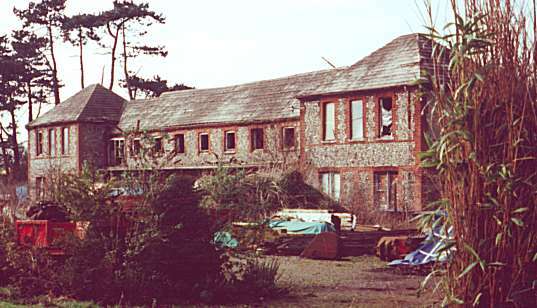 Sheringham former parish workhouse, 2005. Holt's parish workhouse was built in 1779 when fifty acres of the waste was enclosed. 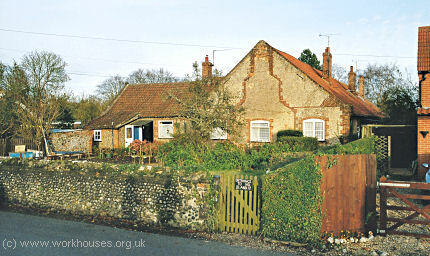 It was an E-shaped building on Pearson's Lane, now converted to cottages. 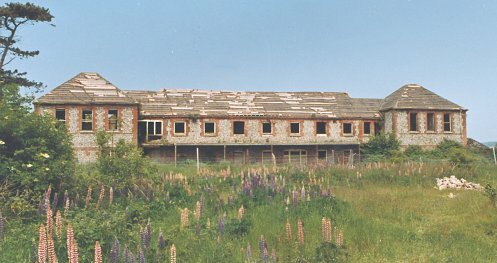 Holt former parish workhouse, 2005. Erpingham from the south, 1978. All that now remains is the former infirmary block at the north of the site. The Erpingham Union established a children's home at Old Rectory, Holt Road, Gresham. Dates of operation uncertain. The property is now a private residence. Norfolk Record Office, The Archive Centre, Martineau Lane, Norwich NR1 2DQ. Few records survive — holdings include: Guardians' minute books (1836-1930, with gaps); Births (1867-1931); Deaths (1867-1933); etc. Minutes of Erpingham Union transcribed by Bill Atkins.